Unlike in the US, Hong Kong property is mostly owned by the government, big companies or the rich. For an acre or 2 of land can sell for billions of dollars. People usually can only afford to own an apartment. Even still, before owning it, they usually rent it for a while. However, in the New Territories, the properties ownership is very different. Many people over there are native residents. Many of them live in houses instead of apartments. The land and the properties pass on from generation to generation. Unfortunately, the number of this group of people is so small, maybe just a few thousands of them. Another small group of population owns the Hong Kong property right is the rich. I mean, they are very, very rich. They can afford to live in houses located in Jardine's Lookout, the Hong Kong Peak and the high level of Happy Valley. On average, rent or the price of an apartment is the highest on Hong Kong Island, Kowloon Peninsula, the New Territories and the other remote islands respectively. Most of the time, you will see a mix of housing classes in the same area. The lowest price housing estate could be next to one of the most expensive ones. Anything on top of the hill or overlooking the harbor costs more. Of course, housing estates with more facilities, such as gym and swimming pool, cost more as well. For an individual, you could rent a room or an apartment. You may be surprised to rent a room? Yes, in some areas where urban redevelopment is needed, they allow you to do so. In my mom's generation, an individual could rent a space of a bunk bed or an individual level of a bunk bed. My mom always told us about her childhood stories that my grandparents would rent out several spaces of bunk beds to make a couple bucks. You can also rent an apartment in Hong Kong. Westerners always love to rent in the areas along Cane Road on Hong Kong Island. It is because it is only a 20 minutes walk downhill to Central, the metropolitan area of Hong Kong, and Soho where there are many pubs, bars and restaurants for Hong Kong nightlife . Some westerners prefer a quiet environment. They may live in the remote islands, such as Lantau Island, Lamma Island and so forth. 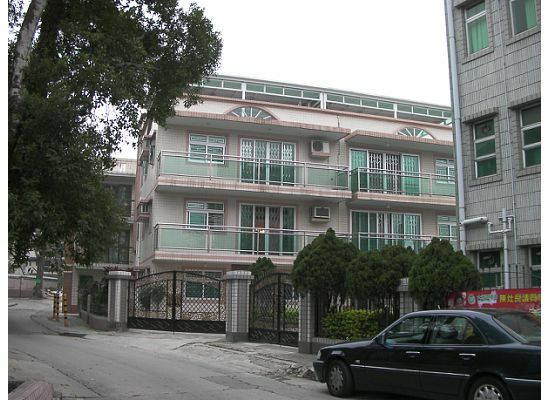 There are several reputable real estate companies in Hong Kong. If you are interested in renting, buying or selling any Hong Kong property, they can definitely help you. One thing you must ask at the very first contact of any Hong Kong real estate company is who will pay the commission. It used to be the buyer. Now, it is the seller or even both buyer and seller will pay commission. For smaller real estate agencies, this term is negotiable. Some hotels do have the option to rent a suite plus housekeeping service.